A couple of Saturday's ago, we loaded up our feed corn and headed across the river to Timms Mill. 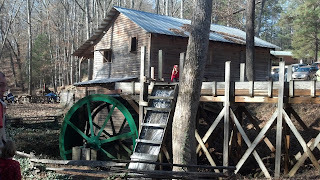 This is a grist mill that first milled corn in 1784. 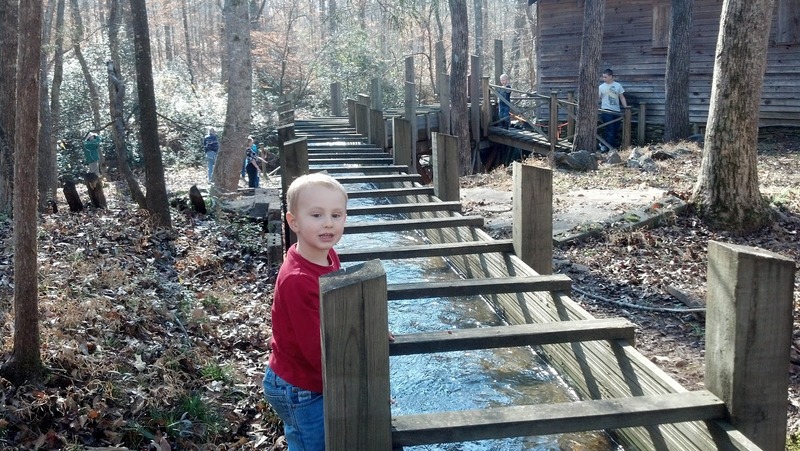 The historic mill was originally built on the banks of the Six and Twenty Creek in 1784 by Mr. Isaac Timms. Through successive generations it was moved to two more locations along the creek and is now standing on the site established in 1898. The mill was in continuous use until 1960, and now since the renovation the 14 foot waterwheel is once again turning to power the original stones in the mill. In 2001, David and Lisa Wortham bought a run-down gritsmill with some property. They decided to restore the mill rather than tear it down, and the restoration was completed in 2004. 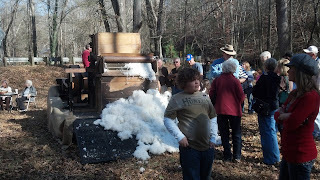 Since then, we have been grinding fresh grits and cornmeal for local (or not so local) restaurants and produce stands; or, if you’d prefer, get your grits hot off the mill on most Wednesdays and Saturdays. 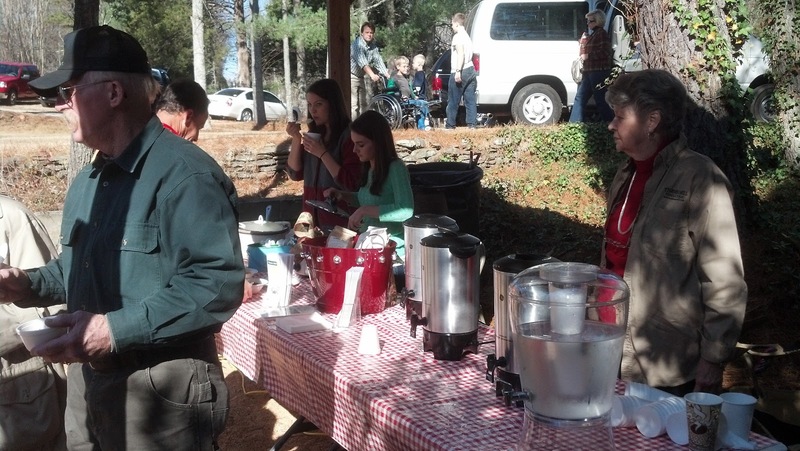 Each year, around the first of December, David and Lisa Wortham host Christmas at Timms Mill. 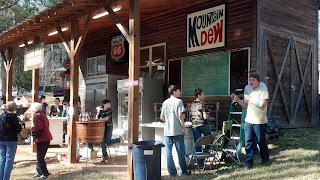 They have fresh grits, cider, and bluegrass music. The store selling cornmeal, girts, cider and ice cold bottled cokes! Serving white and yellow girts with hot cider....Yummy! Since we had an abundance of feed corn that needed sucking, we ran the corn sucker at the mill. After we the sucked the corn, we then put the corn through a corn sheller. 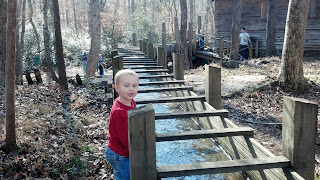 Hamp playing in the water! Christmas at Timms Mill is one of the highlights of our year! And the yellow girts are just to "die" for! !